The bad news is the global economy looks gloomy, but on the upside plenty of disruptions in crude production will offset waning demand: that seemed to be the rationale of traders on Tuesday, whose worries over the economy were mitigated by the prospect of Venezuelan exports declining even further due to U.S. sanctions. 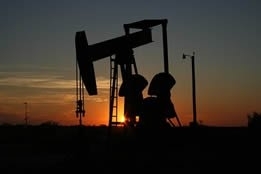 The result was that West Texas Intermediate dropped a minuscule 3 cents to settle at $53.28 per barrel, while Brent inched up 1 cent to $61.33 per barrel. Ole Hansen, head of commodity strategy at Saxo Bank, summarized: "The Venezuelan political crisis as well as a [Saudi Arabia] pledge to lower output further should have boosted crude oil, but pulling in the opposite direction are heightened concerns about global growth, particularly that of China." But despite traders' somewhat lackadaisical response to the latest round of geopolitical developments, analysts warned that the Venezuela situation, now exacerbated by Washington imposing sanctions on the Bolivian republic in a bid to oust president Nicolas Maduro, could cause calamity in the near future. Specifically, PVM stated in a note, "The Latin American country is predominantly the producer of heavier crude, exactly what (U.S. Gulf) refiners are thirsty for; they will now have to turn elsewhere (possibly to Mexico, Saudi Arabia, and Iraq) to satisfy their needs for this type of crude, which would inevitably lead to a price spike." Meanwhile, Petromatrix estimates that Venezuelan exports will drop by around 500,000 barrels per day under current conditions. As for the near term, Cantor Fitzgerald Europe predicted that oil will take "a further step downwards" on Wednesday when U.S. data is released regarding inventory, which many believe will show a further build. But as if to point out that the endless speculating and fomenting that has characterized the crude analytical community in recent years is all for naught, Bloomberg reminded readers that "Three years ago, influential figures in the oil industry were sounding a clear warning: prices were too low, investment was collapsing and by the end of the decade the world would face a shortage. "In reality, the market today is looking at several more years of plenty, so much so that OPEC is beginning its third year of production cuts just to prevent a surplus." While not stating it outright, the news agency went on to suggest that so many unforeseen factors such as geopolitical events render any accurate forecast about how the market will evolve virtually impossible.